Aviation is regulated in Chile by two different authorities: the Civil Aeronautic General Direction (DGAC) and the Civil Aviation Board (JAC). The DGAC depends on the Chilean Air Force. Its objective is to regulate and inspect the aviation activities performed within the airspace under Chile’s sovereignty, and also those carried out by Chilean airlines outside Chile’s boundaries. The DGAC is in charge of the aeronautical infrastructure, airport services and air navigation services, operational safety services, security services, aviation meteorology services and guaranteeing the efficiency, safety and security of aviation. The mission and functions of the DGAC are regulated in the Aeronautical Code and in Law No. 16,752. The JAC is a public service that depends on the Chilean Ministry of Transportation. It is formed by a council of seven members, and represented by a general secretary. Its mission is to promote the development of civil aviation in Chile, including the administration and execution of Chilean commercial air policy, in order to get broad air traffic policies for Chile and to promote the development of national and international commercial air transportation. Part of the JAC’s specific functions are: to represent the Chilean government before the International Civil Aviation Organization (ICAO), to negotiate and obtain international traffic policies and frequencies for the Chilean airlines in bilateral or multilateral negotiations, to control the compliance with legal insurance requirements and to promote air transportation. The integration, mission and function of the JAC are regulated in the Aeronautical Code, Decree with force of Law (DFL) No. 241 of 1960, and the Commercial Aviation Law, Decree Law (DL) No. 2564 of 1979. In terms of safety, air transport is regulated both in the Aeronautical Code and in the complementary regulation elaborated by the DGAC, in conformity with international rules. The Aeronautical Code regulates matters such as aeronautical infrastructure, aircraft, crew, aircraft search and assistance and accident investigations. In addition to these general rules, the DGAC regulates all safety issues in depth, such as telecommunications, aircraft airworthiness inspections, airport supervision, licences and crew certifications, among others. For these purposes, the DGAC permanently updates its internal regulations (DAR), rules (DAN) and aeronautical procedures (DAP), according to the Chicago Convention Annexes and the ICAO safety regulations and recommendations. All these administrative regulations are available at www.dgac.cl. The criteria for distinguishing between commercial and non-commercial aviation are established under articles 93 to 98 of the Aeronautical Code. According to the Code, the proper activity of non-commercial aviation is to carry out flying activities without profit such as instruction, recreation, sports, etc, excluding paid transportation services. Only with the previous approval of the JAC and if commercial aviation cannot render transportation services may non-commercial aviation render them. From a safety point of view, in general, there are common regulations for commercial and non-commercial aviation. These regulations are based on international ICAO standards that the DGAC has accepted as local regulations. DAN 0809 (minimal equipment requirement). Other regulations concern flight operations and limitations, air navigation and communications, flight documentation, dispatchers, logs, records and aircraft maintenance. In general, market access in Chile is free and deregulated. Therefore, any national or international person, either natural or legal, that is interested in developing air transport services to, from or within Chile (cabotage), can do so without ownership and control restrictions, without air fare limitations, and is free to enter into arrangements such as code sharing, block-spacing or leasing. In terms of traffic rights and routes, in the last 40 years Chilean aviation policy has been inspired by a philosophy of ‘open skies’, and local authorities have tried to obtain this goal in the bilateral negotiations in which they have engaged, as well as in international forums. An aviation policy of open skies and deregulation allows national and international airlines to operate in a more flexible manner, creating more opportunities to serve new markets, increasing competition between the carriers that serve the Chilean market. One example of the Chilean policy of open skies and deregulation is that Chile permits cabotage to foreign carriers without reciprocity conditions. There are no specific financial requirements to engage in national or international air transportation. The law only requires carriers to have civil liability insurance in good standing, in case of accidents that cause damage to passengers or surface damage to third parties. Additionally, if a carrier applies for and obtains an air operator’s certificate (AOC), granted by the DGAC, this organisation will require a standby letter of credit in order to guarantee the monthly payment of aeronautical taxes and rates. In terms of ownership and control requirements, access to the aviation market in Chile is free and deregulated. Therefore, any individual or company, either national or foreign, that is interested in developing air transport services in Chile, can do so without any kind of ownership or control restrictions. In order to operate a particular route, an airline must obtain the corresponding traffic rights, which are owned by the state and come about through the granting of freedoms of the air for airlines. Therefore, traffic rights are owned by the state and not the particular airlines, which only have a concession. Under Law (DL) No. 2564, the JAC is the authority in charge of the administration and granting of licences or concessions, with the object of fostering concurrence and availability of air transport services at affordable prices. The general rule is that any carrier can operate in Chile if it complies with technical requirements and is properly insured. This is particularly clear in cases of domestic traffic, where there are no restrictions about changes of gauge, frequency, capacity, itineraries and tariffs. In international transportation the situation is somehow different, since there are some states that protect their national airlines in their own skies. In these cases, Chilean law permits that the JAC, for reciprocity reasons, can cancel, suspend or limit the air services of international carriers, with the exception of cabotage in Chile, where the Chilean regulation permits cabotage for international airlines in Chile without reciprocity restrictions. As mentioned in question 6, the aviation services’ regulation is based on a ‘free trade’ system, on the ‘offer’ and ‘demand’ forces of the parties interested, with an exception in cases of international transportation where the state of the international carrier that wants to fly to Chile protects its national airlines in their own skies. In these cases, Chilean law permits that the JAC, for reciprocity reasons, can cancel, suspend or limit the air services of international carriers in Chile. Apart from these general principles, the Chilean legislation has a unique system of public auction of international traffic rights, based on cash offers, when the number of international frequencies on a certain route is less than the number of domestic airlines interested in using those frequencies. if there is more than one interested bidder, the JAC will begin to receive cash bids for each of the frequencies, in the presence of the bidders. In this last case, the JAC will award the limited traffic rights to the airline that has offered the highest amount of money for each one. The awarded airline will sign a ‘traffic right award certificate’. Traffic rights are awarded for a period of five years as of the date of award. The effects of this policy are reflected in free competition, with the goal of improving the quality and availability of air transportation at fair prices. These principles are established in the aeronautical law and the general antitrust legislation. Access to foreign routes negotiated by the state with other countries is open to any airline, with a few exceptions, based on reciprocity and when the country of origin of the airline imposes restrictions on Chilean companies. Furthermore, and according to the new Resolution No. 63 made by the JAC on 18 January 2012, domestic carriage or cabotage is now open to both national and international airlines, without reciprocity conditions. an insurance certificate of the carrier. However, the DGAC permits no more than 18 non-regular flights in a period of 12 months. Therefore, if an airline makes more than 18 non-regular flights in such a period of time, it will have to obtain the respective Chilean AOC. In order to obtain an AOC in Chile, which recognises a specific airline as a regular or non-regular operator, a foreign air carrier must comply with the local technical and safety regulations imposed by the DGAC and the insurance requirement imposed by the JAC. The AOC process is carried out by the DGAC and requires the preparation of a Chilean operative specifications manual, safety and security manuals, and maintenance and operational inspections, in accordance with international regulations. The Chilean aviation legislation does not have specific rules in order to ensure the availability of aviation services to remote destinations. Notwithstanding, there are some general tax benefits to companies established in remote regions, which national or international airlines could benefit from. As mentioned previously, the DGAC permits no more than 18 non-scheduled flights in a 12-month period. Therefore, if an airline makes more than 18 non-scheduled flights, it will have to obtain the AOC. Airlines are free to establish airfares for domestic and international carriage. The only requirement is to register them before the JAC. The authority cannot fix or object to registered fares. In exceptional circumstances, however, the JAC may regulate airfares if another country does not accept the freedom of airfares policy. In practice, this situation has never occurred. The DGAC was the first aviation authority in Latin America to regulate the use of drones in populated areas through the regulation DAN 151. Among the main requirements for the use of drones mentioned in this regulation, the drone must weigh no more than 6kg and have a parachute. Furthermore, the drone must be registered before the DGAC. The owner of the drone must have a drone licence, which implies a previous test before the DGAC. Further, the drone must remain within a visible radius of 500 metres from the pilot, and maintain a height of no more than 130 metres from the ground. With respect to insurance, the JAC requires insurance coverage in case of damage to third parties on the surface. Finally, the aforementioned regulation also contains specifications with respect to the places where it will be possible to fly, for example, no closer than 2 kilometres from an airport or aerodrome. Also, for operational security reasons, no flights are permitted in restricted or prohibited areas. The offenders of this rule could be exposed to various sanctions that vary from a simple warning to the final cancellation of the credential of the credential, as well as fines ranging from five to 500 monthly minimum incomes. when the aircraft has been physically delivered to a Chilean person or company under a contract of sale, in which the payment of the price is pending and the seller keeps the property until full payment is made. The DGAC keeps a registry of aircraft mortgages, which may comprise the entire aircraft, its equipment or spare parts. In the last case, the spare parts must be specifically identified in the contract that establishes the mortgage. Article 17 of the Aeronautical Code contains the specific requirements for mortgage registration. When the loan secured by the mortgage belongs to a foreign person or company, the foreign person or company shall indicate an address in Chile, mainly for the purposes of servicing claims and lawsuits. The mortgage can be effective over the insurance indemnity in the case of total loss or partial damage and to the indemnities due by a third party for damage to the aircraft. extraordinary expenses reasonably needed to preserve or maintain the aircraft. When there are several mortgages, the oldest rank above the newer ones according to their date of registration in the registry of aircraft mortgages. Regular airlines with scheduled flights in Chile and with their AOCs in good standing do not need to pay airport or air navigation charges every time they take off from Chile; this is because they have a special payment system and the DGAC requires a standby letter of credit in order to guarantee any debt for the above-mentioned charges. But the situation is different in cases of chartered or non-scheduled flights, because these aircraft must pay for airport and air navigation charges every time that they take off from Chile, as no guarantee is required for charter services. Therefore, in the case of non-payment of the charges or taxes mentioned by these kinds of aircraft operators, the DGAC can detain the aircraft until the payment is made. The above-mentioned rules are without prejudice of the general Chilean rules related with the embargo or seizure of an aircraft or component parts in case that an airline does not pay a debt to a third party, dully recognised by a Chilean civil court. The DGAC is permanently updating the local regulations on maintenance issues, such as the entities authorised to perform technical works (DAN 145), maintenance control and execution (DAN 43) and another related topics such as preventive maintenance, reconstruction and alteration of aircraft and parts, mechanics and engineers licences, etc. Public airports are owned by the Chilean state, which, through the DGAC and the Ministry of Public Works (MOP), either grants these airports under concession to private operators or manages the airports itself. The concession is granted through a public bidding process. Additionally, there are some private airports in respect of which the DGAC exercises its supervisory powers. As mentioned above, public airports are owned by the Chilean state, which, through the DGAC and MOP grants these airports under concession to private entities. The concession is granted through a public bidding process in which all the parties interested can participate. Among the services granted through concessions are services to third parties (aircraft parking, commercial facilities, cafeterias, restaurants, etc) and services related to the operation and supply of fuel and lubricants for aircraft. The qualification regime consists of the granting of a licence for all airport services providers that comply with some technical and economic conditions. As mentioned above, any commercial activity developed in a public or state-owned airport has to be licensed by the authority in exchange for a payment (tariff). Only air traffic control services are exempted. The specific duties and tariffs for a given airport and service shall be fixed in the public bidding process and the ensuing contract signed with the successful bidder. Additionally, and from the carrier’s point of view, the authority charges a tariff for the use of airports, which depends upon the kind of airport, the weight of the aircraft and whether the flight is domestic or international. There are also charges for services in route and in particular radio communication services, among others. Assuming that a specific airline has the necessary traffic rights and frequencies to operate in Chile in a specific airport (congested or not), the slot allocation must be obtained from the DGAC, which shall grant the slots considering the schedules of the airlines but also considering the slots available. There is no general process of allocation. Notwithstanding the local regulation of ground handling operations concerned with licensing and procedures, there are no specific rules or limitations related to access or competition. Therefore, the general Chilean antitrust law is fully applicable, and courts have held that the principles of free access and free concurrence must be preserved. According to the Chilean Aviation Law and regulations, air traffic control services are only provided in Chile by the DGAC, complying with all the international standards and recommendations of international aviation organisations. if the damage is a consequence of a crime committed by someone other than a member of the crew or a dependent of the carrier. As regards destruction, loss of, or damage to baggage, the limit of liability amounts to 40UF per passenger. Regarding destruction, loss of, or damage to cargo, the compensation shall be no higher than 1UF per kilogram. In both cases, the compensation could be higher if the passenger or consignor declares a higher value of the baggage or cargo, paying a special price. an act of public authority carried out in connection with the entry, exit or transit of the cargo. Chapter II, Title IX of the Aeronautical Code refers to the civil liability rules of aircraft operators for surface damage. The general rule states that the aircraft operator shall be liable for the damage caused to persons or goods on the surface if that damage is caused by an aircraft in flight. if the damage is caused by the illicit seizure of the aircraft. in the excess of 80,000kg, 2.5UF per kilogram. The accident investigation is written up in a technical report prepared by the authority. The Accident Prevention Department of the DGAC has the human and material resources to perform its activity, and could ask for collaboration from foreign institutions or experts if deemed necessary. Apart from the general principles of the Aeronautical Code, accidents investigation systems and procedures are regulated thoroughly by DAR 13, issued by the DGAC in line with international procedures and recommendations. Yes. In case of an aviation accident, the pilot in charge, the aircraft operator, the owner of the aircraft or any person who has knowledge of an accident shall report it immediately to the local police and to the DGAC, which shall initiate the accident investigation process referred to above. In Chile there are no specific competition rules about aviation. Therefore, the general Chilean antitrust law is fully applicable. There is no sector-specific regulator. Aviation is fully subject to antitrust laws and authorities. The competition authorities have not made a competition assessment of the aviation market in Chile. However, in practice, the aviation market in Chile shares the principles defined by the antitrust law, namely, open access, free competition and freedom of fares. Those principles are also shared by the local aviation authorities. Therefore, in gene­ral the Chilean aviation market is an open one, without competition restrictions of any kind. 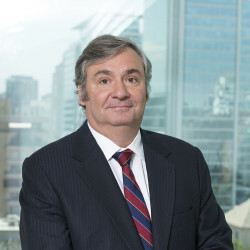 The main standards for assessing the competitive effect of a transaction in Chile include the existence or not of an abuse of a dominant position, predatory prices, arbitrary discrimination, market quoting assignations, abusive clauses, etc. 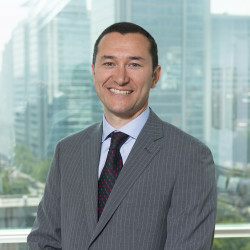 There are decisions made by the Chilean Antitrust Court that recommend changes in aeronautical rules to foster competition such as bids for routes and prohibition of participation of carriers in the operation or exploitation of commercial airports. It must be kept in mind that the Chilean Constitution is very restrictive regarding direct intervention of the state in the economy, either through the development of economic activities or through direct aid to private companies using public funds. Therefore, there is no general regime of state aid to private companies, and there are no specific rules for the aviation sector. the right to additional services, such as telephone communication, food, lodging, transport to and from the airport, support to continue the trip if connections are missed, etc. The Aeronautical Code also establishes the obligation of the air carrier to have, at the disposal of the passengers, information brochures with specifications of their rights, in a visible place of the ticket sale offices and airport counters. Finally, the enactment of a regulation by the Ministry of National Defence is still pending, to set technical and safety conditions under which the transport of people with disabilities will be authorised. Yes. The DGAC requires national and international commercial airlines to have civil liability insurance in good standing, in case of accidents that harm passengers or cause surface damage to third parties. With respect to passengers, the minimum insured amount required is approximately US$78,000. With respect to surface damages, the minimum insured amount required is US$97 per kilogram of the aircraft. Furthermore, Resolution No. 604 granted by the JAC has been in force since 2 January 2012 and contains the new insurance requirements for airlines that operate in Chile. In accordance with this resolution, the insurance policy of any aircraft that operates in Chile must cover, aside from the passengers, ‘the crew and the rest of occupants of the aircraft’. The origin of this new regulation is based on the situation of ‘minor aviation’, where it has been the case that some accidents in which the ‘crew’ and ‘occupants’ of this kind of aircraft are not covered by aviation insurance. Therefore, taking this into consideration, the DGAC decided to expand the coverage of the aviation insurance for all kind of aircraft, without distinction. According to ICAO regulations and recommendations, the DGAC has developed the local regulations concerning security issues. Those local regulations, especially DAP 17 01, requires that ‘regular’ airlines in Chile must prepare an airport security manual and an operational security manual. Furthermore, regular airlines must file their international security manuals before the DGAC. deviating from the approved routes to enter or leave the national territory. These crimes are subject to the special jurisdiction of aviation courts, military courts whose jurisdiction in peace time is limited to the investigation and punishment of these particular crimes. In October 2017 the National Congress approved an amendment to the Consumer Protection Law, which included a strong national authority with more powers, higher fines for breaches of the law and a new term for the statute of limitations of consumers’ claims. This law has been contested by a group of members of parliament before the Constitutional Court, and there are still pending proceedings regarding the resolution of this matter. Therefore the law has not yet been enacted. Allende Bascuñán & Compañía SpA is a law firm with more than 25 years of experience in all different legal matters including, besides tax, administrative, labour and social security law, litigation and arbitration, corporate and finance practices, among others.